Whatever the theme you are planning these gorgeous tents can be arranged to suit your needs. 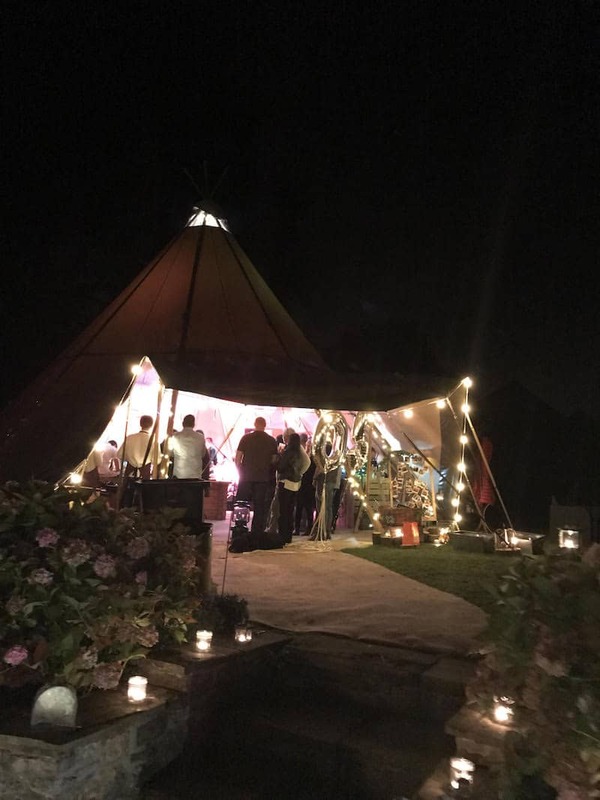 From an intimate party of 50 guests to a celebration of 150, the tipi structures are versatile and we can join any number of tipis together to create a single venue for the size you require. 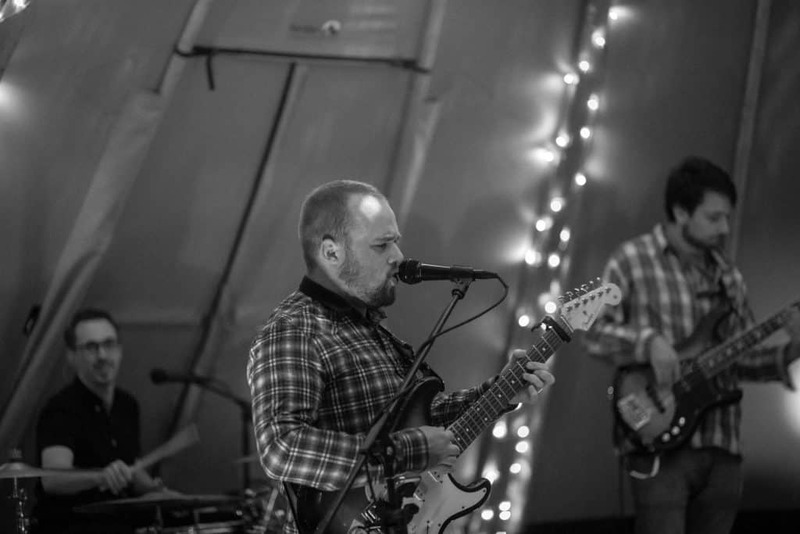 The versatility of the tipis means they can make for an all year venue. 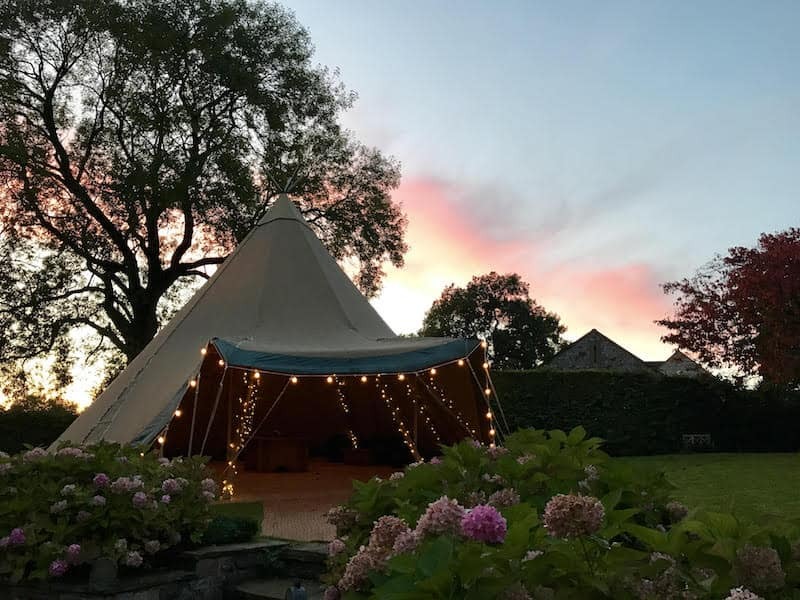 During warmer months the sides can be raised making the most of the good British weather, and during colder months the sides can be lowered and the tipis can be heated providing a warm cosy atmosphere. 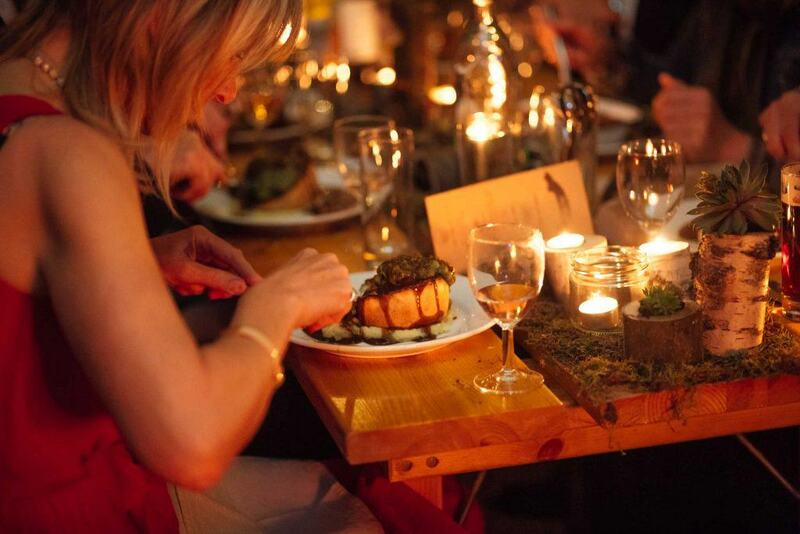 We can provide, tables, benches, lighting and a dance floor giving you the foundation to create a magical party. 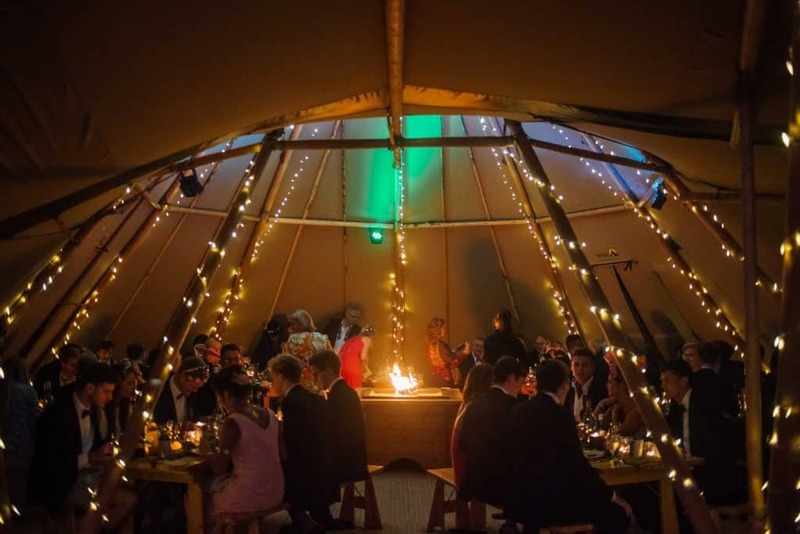 Whether that be a naming ceremony, 1st birthday, graduation party, special anniversary, whatever the occasion, leave your guests with lasting memories of your stunning Sami Tipi party. 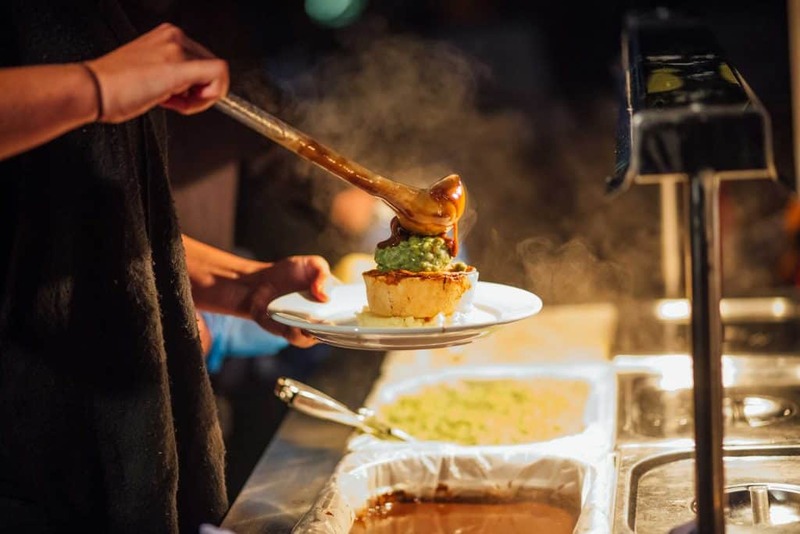 Below we have set out our capacity guidelines, these are just guidelines and we would be delighted to put together a full, detailed quotation for you, based on your exact requirements. 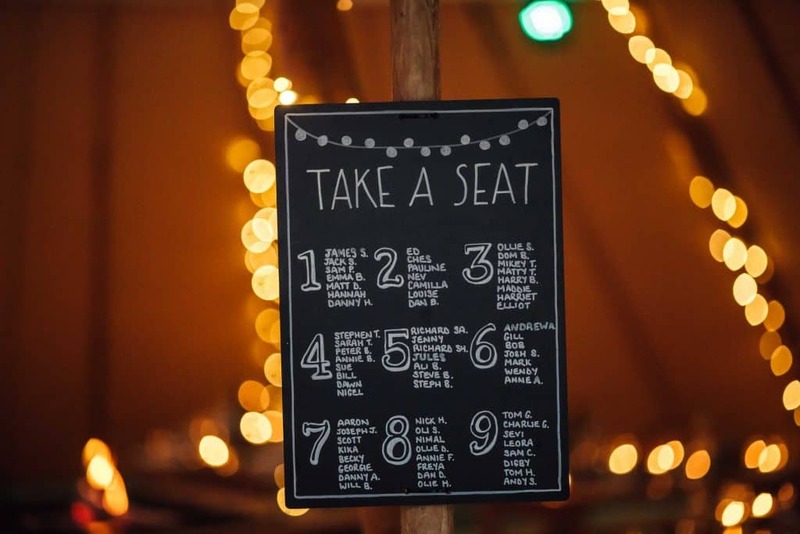 The guidelines include space for all of your party requirements such as a dance floor, band & bar etc. 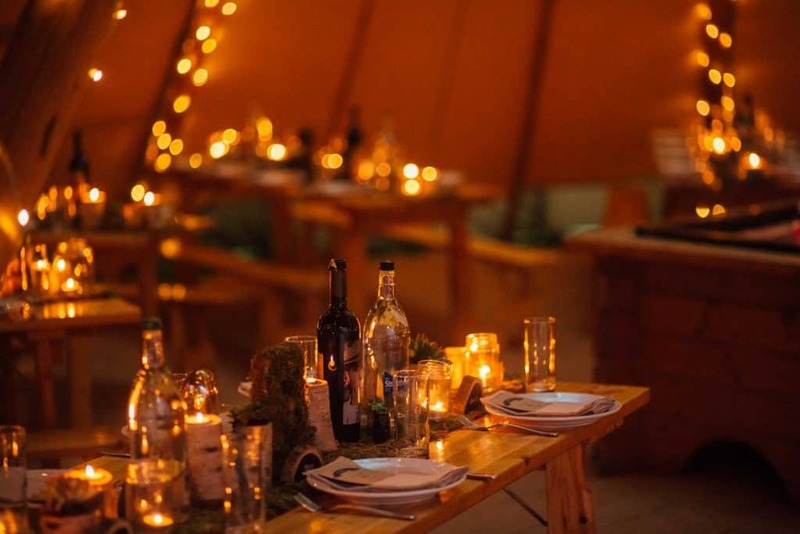 Our prices include full set-up and removal of your tipis and equipment. 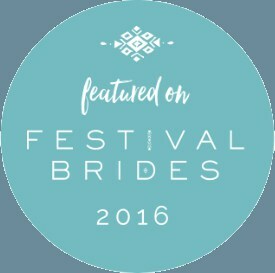 These amazing structures are a unique alternative to a conventional wedding marquee and are comparable in cost. 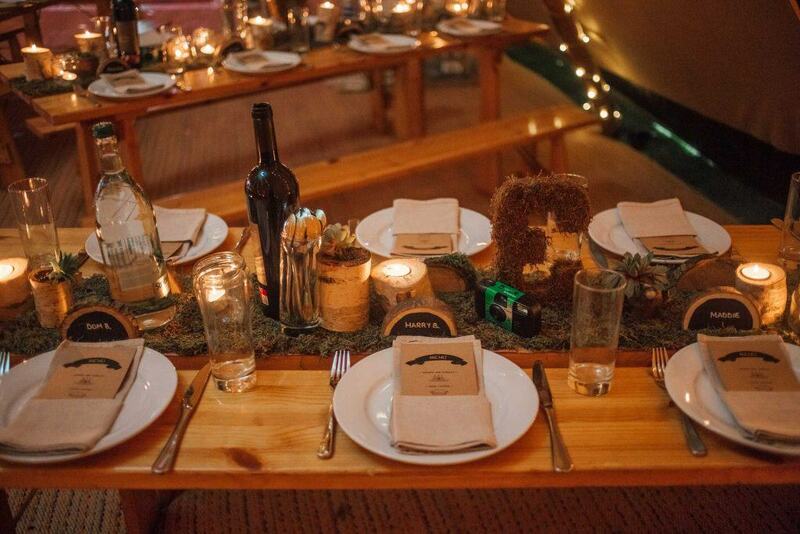 The atmosphere created in a sami tipi is unquestionably the best experience you and your guests will have. 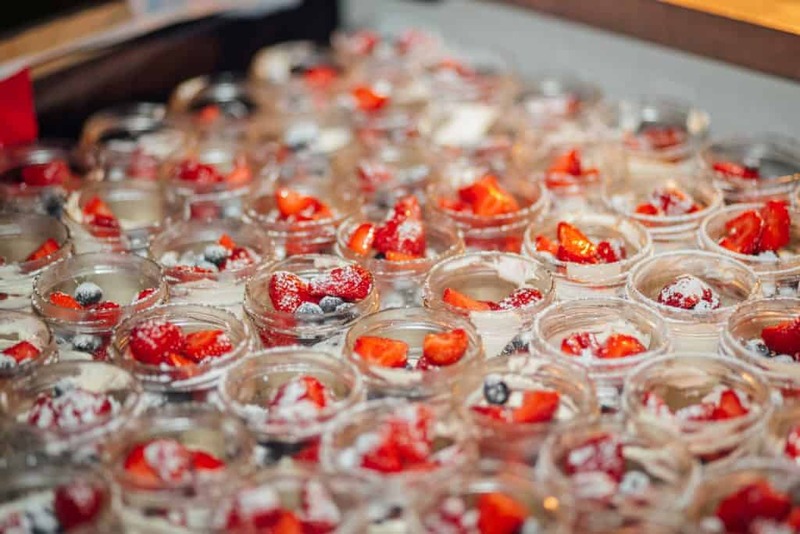 Our dedicated team are meticulous with detail, we treat your event as though it was our own. 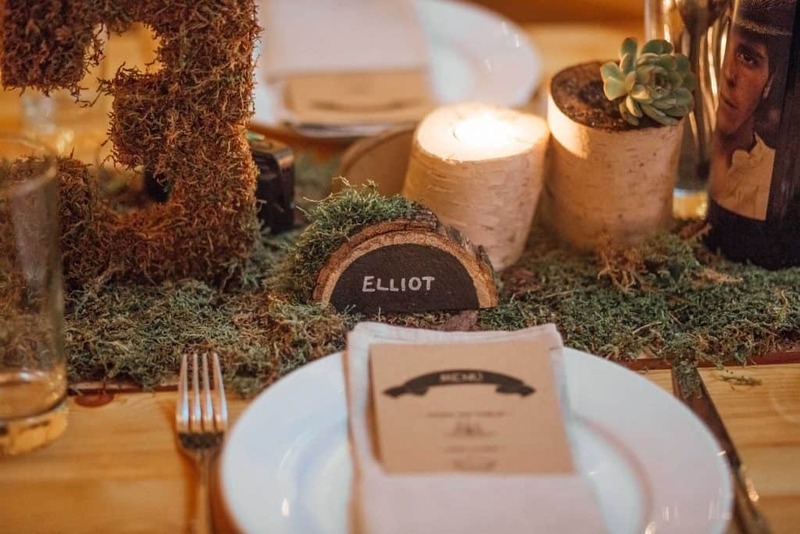 We will work with you, from start to finish, to help create a venue that is unique and memorable for you and your guest. 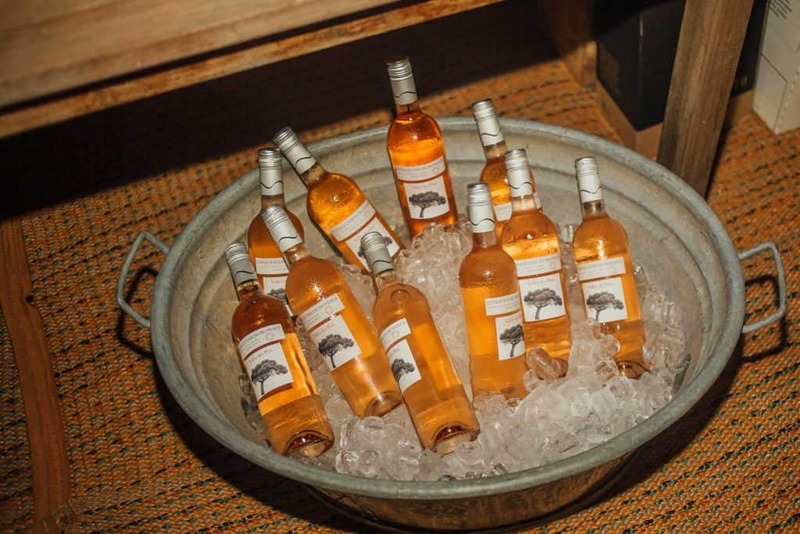 Contact our events team to discuss the endless options available. Prices start from £1,950. 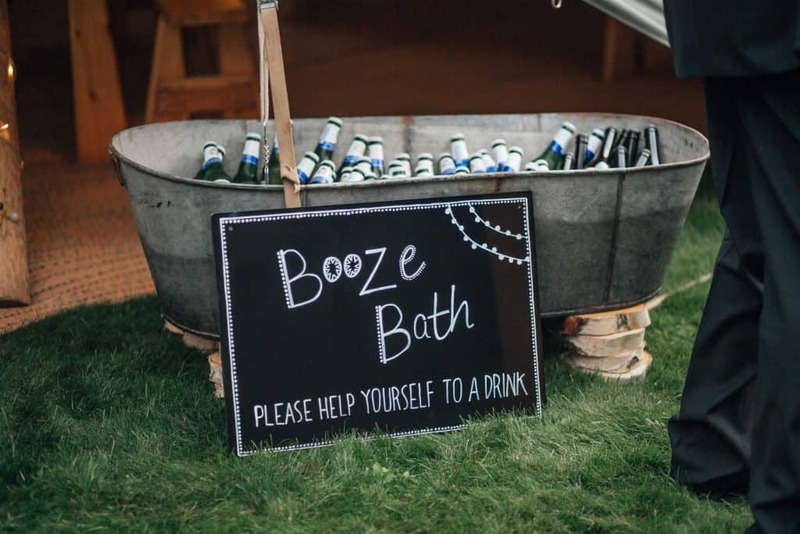 As every event is different we will provide a bespoke quotation based on your requirements with as many options as you wish. We also understand that plans change and develop so we are happy to make as many changes as you need along the way until you are completely satisfied. 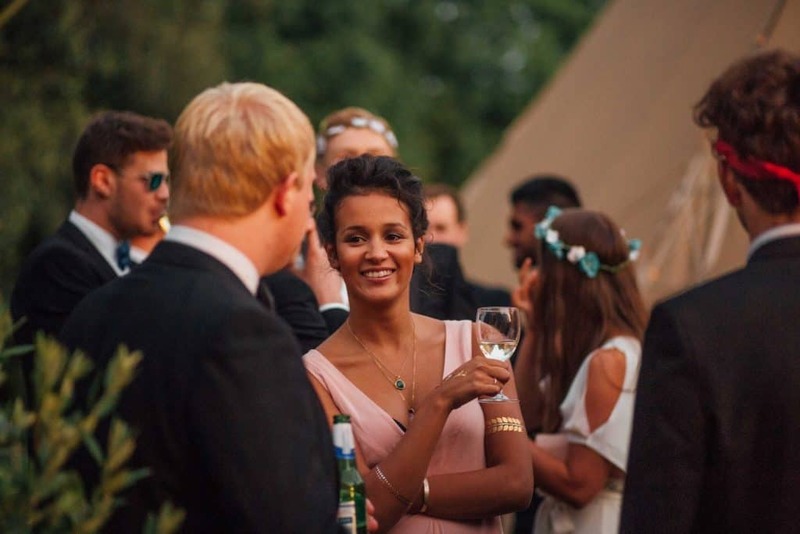 Have a read about what those that have celebrated in style have had to say about Sami Tipi and their tipi party. Perfect service throughout. The team arrived promptly, set up very efficiently and politely. 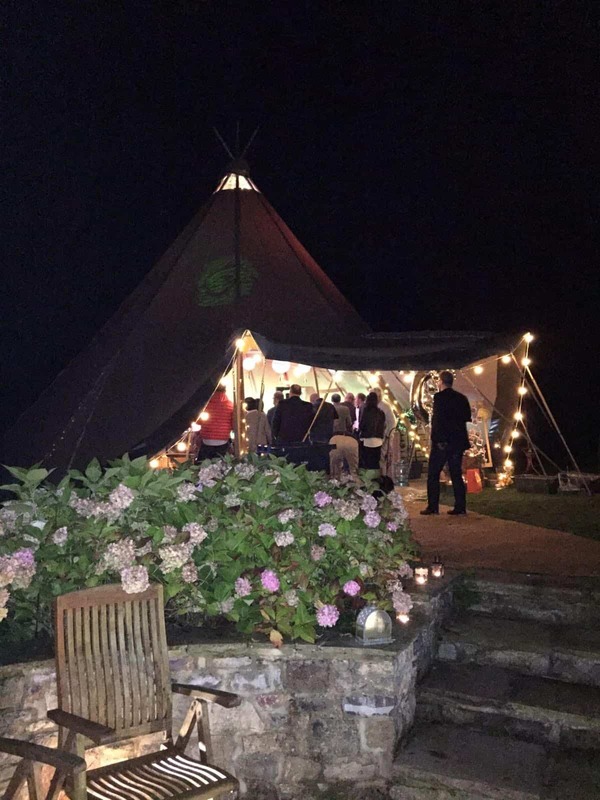 The tipi looked absolutely amazing. 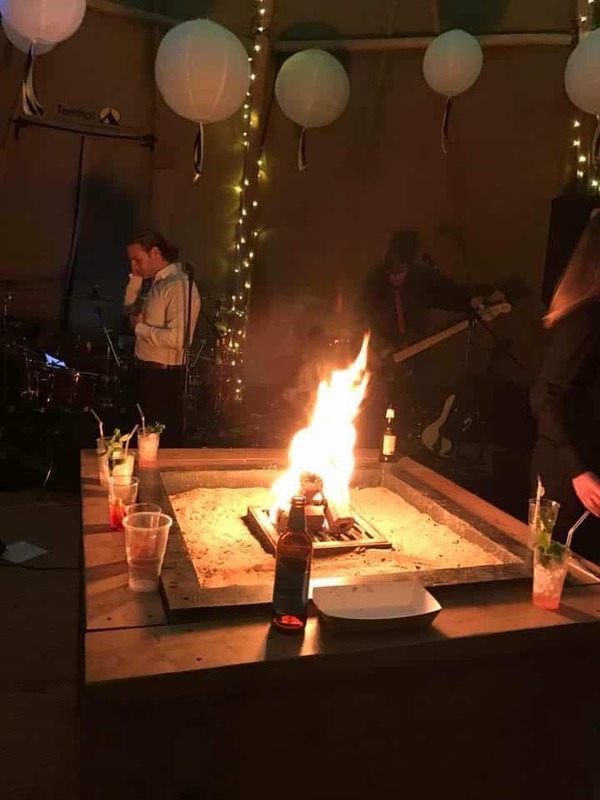 It was our largest expense within a last minute party budget but it was totally worth it. 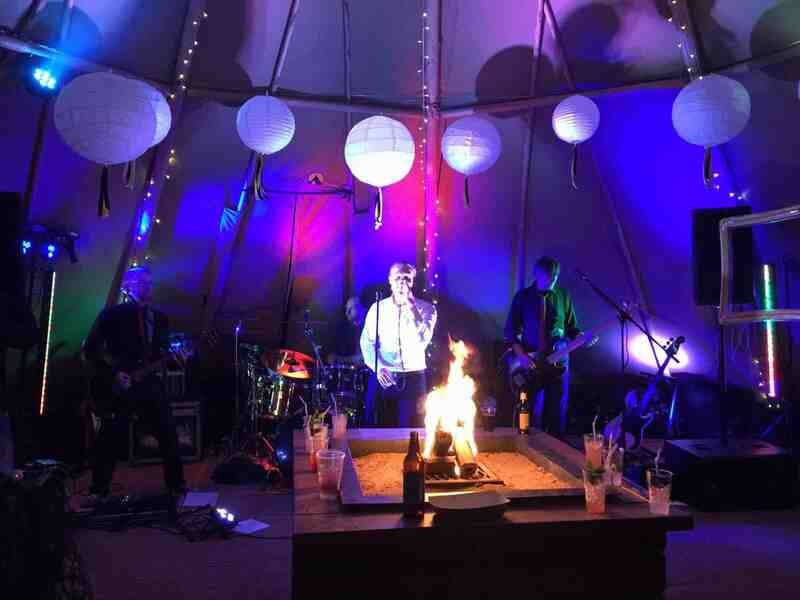 The atmosphere within the tipi with the special lighting, the fire pit and the band completely made the party. 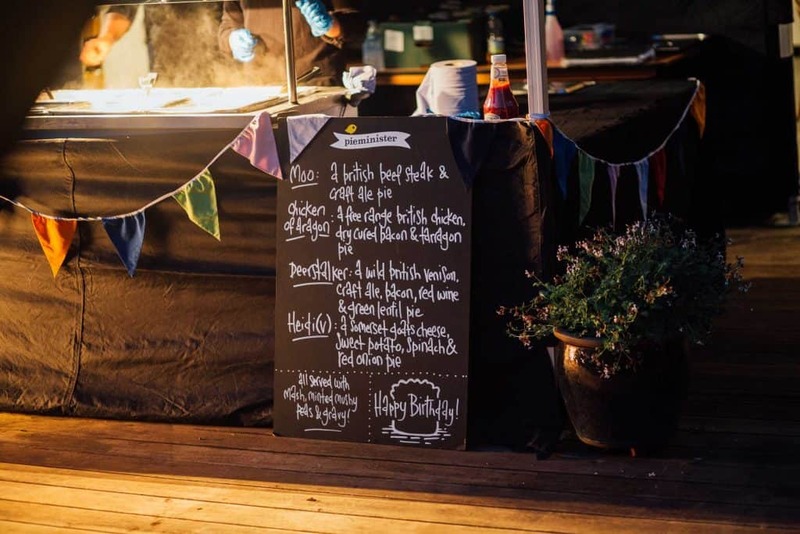 All our food & cocktails & extra special touches fitted in perfectly, it really was the perfect size and created a buzz that no other alternative would have been able to match up to. The gents all arrived on time to quickly dismantle the tipi and even brought a box of chocolates for our daughter who had drawn them a picture the previous week! I wish I had another excuse to book again straight away. Thanks a million for helping us make some very special memories for my husband’s 50th. 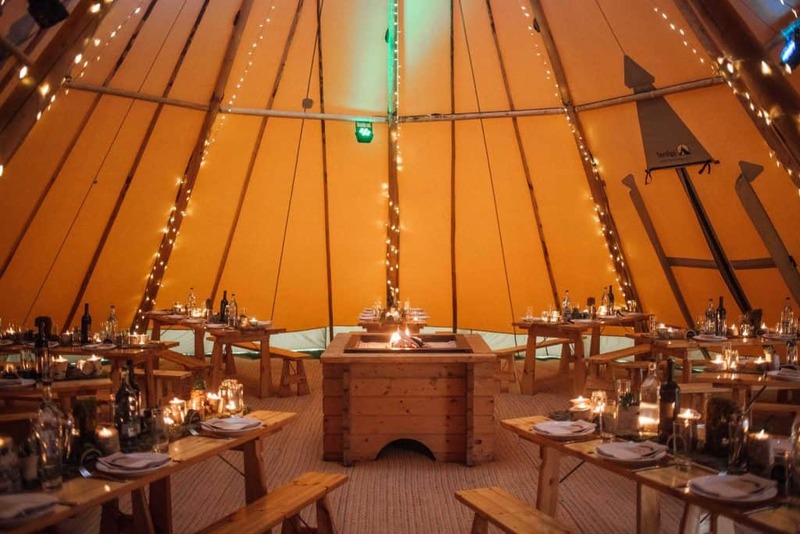 If you are interested in hosting your own party Sami Tipi Style, get in touch. Complete this simple form, hit the magic button and the team will be doing a jig in the office when it lands in to our inbox. 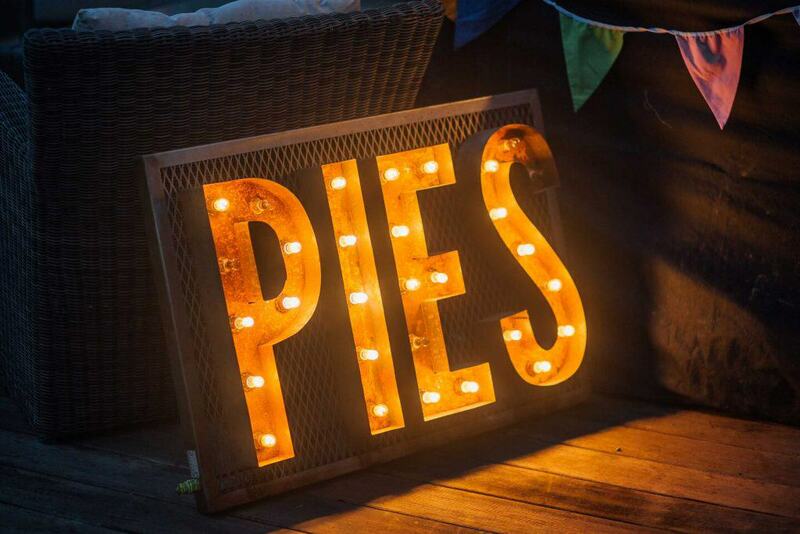 See some of those that have partied in the tipis. 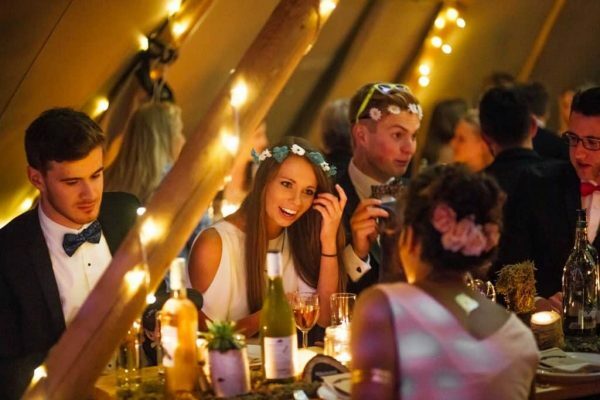 A tipi party really does create the best atmosphere to have the most amazing celebration. Still want to see more? 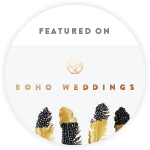 Pop over to our gallery page for even more inspiration.